This month I decided to start clearing up my gadgetry and looking over what I have used, what I need and what had been left to gather dust. This is always worth doing. Finding the box prompted a bittersweet sense of regret, primarily not getting to use the Breezie more, and lack of communication from the company – a colleague and myself had even visited their office some time ago and we were completely taken with the comprehensive attitude to fitting out a tablet for an older person to make good use of. 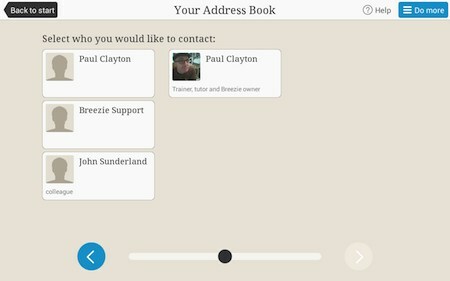 It was all there: a good printed manual that outlined how to use it, labels on the device buttons, an interface that was simple and useful – not forgetting the background address book management by a relative or sponsor. 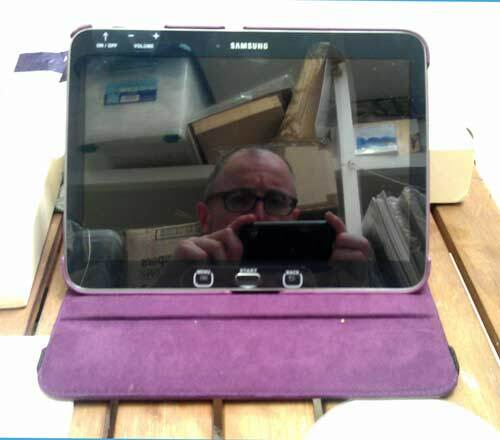 My enthusiasm for this great conversion from a stock Samsung Tab 3 had prompted an email asking if I was a reseller! It seemed that my review was the only item was the only practical and lacking in marketing speak that the gentleman could find in his searches. My searches also came up with similar results also…this was back in 2014. I also attempted a presention with the Breezy in the October of 2014 as a means of getting to people, ultimately managing to make a presentation to Lewisham Homes. Unfortunately neither activity provided outcomes. 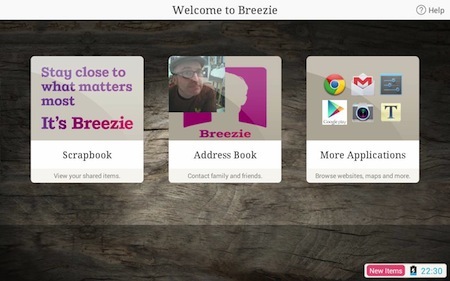 It does seem that Breezie is now much more interesting and interested in providing tablets for groups of people, and I’ve rolled mine back to its original state. A new phase of the relationship. It’s still a great device, but now used as a working machine. I now wonder what the new ‘groupware’ version is like, and if I’ll get chance to use it..